Drop The Pack. Let's Vape. No problem. There's a lot of information out there, so we want to make things as simple as possible for you. Below you will find some basic information about why we choose to vape - everything from cost benefits to health, pollution and current laws. 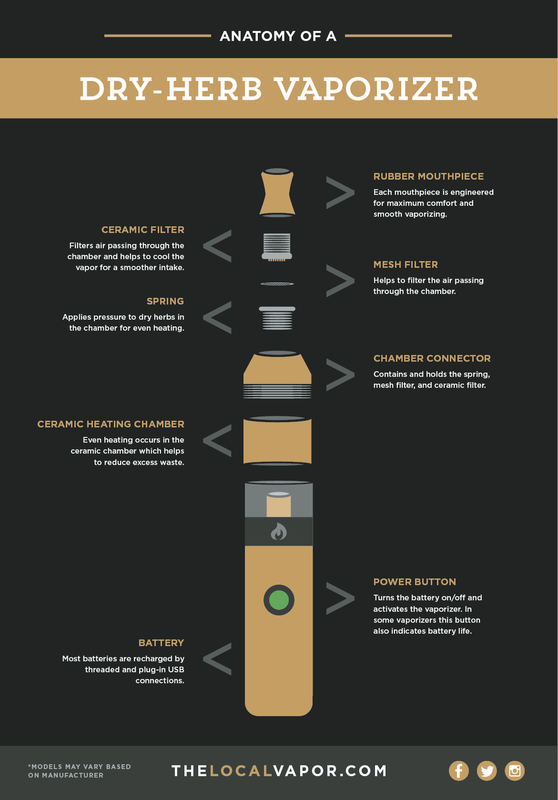 We also have a breakdown of the differences between a dry-herb vaporizer and a liquid vaporizer. Of course, this is far from everything you may need or want to know but it's a start! If you have more questions feel free to contact us or drop by the store to chat. We choose to vape for a few key, essential reasons. 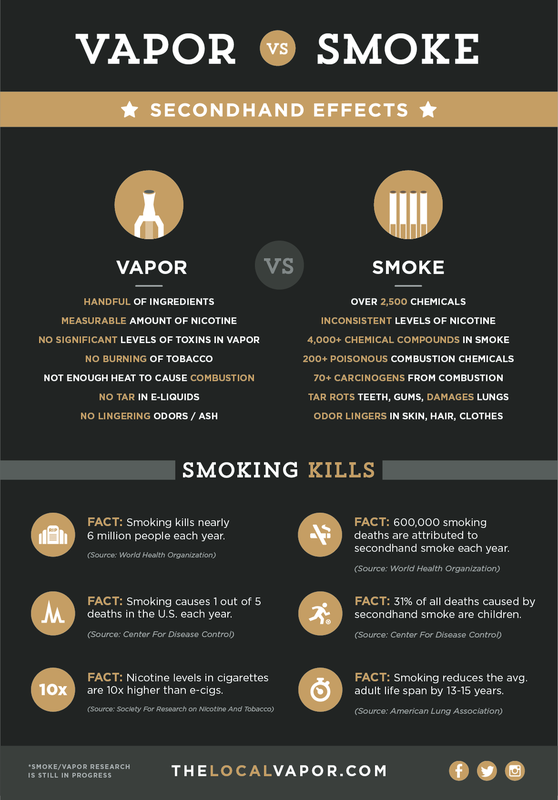 Below are two infographics that break down the cost and risk differences between traditional tobacco smoke and our premium liquids and vaporizers. Dry Herb vaporizers (like Pax) and liquid-based e-cigarettes are similar, but also very different. Pending on your needs and preferences, you may prefer one route over another. 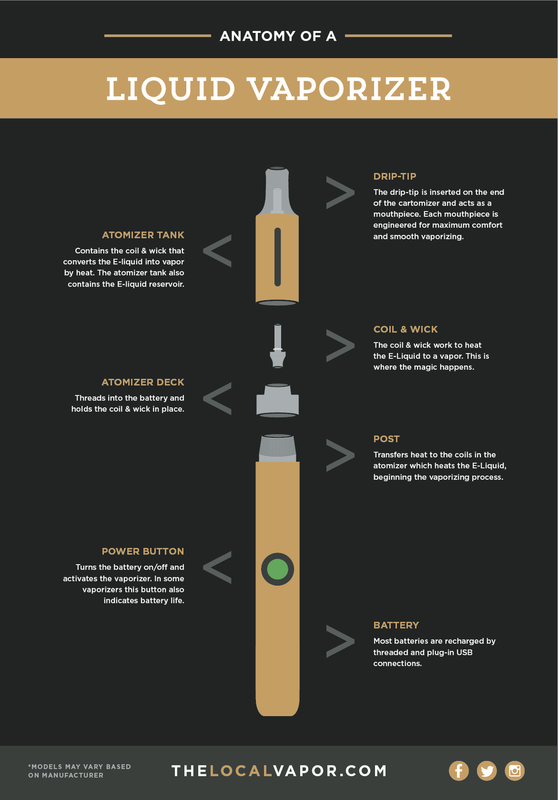 Below are two infographics that break down the anatomy of a dry-herb and a liquid vaporizer. Curious about CBD? Let us assist you! Click below for some really great videos & information about this all natural, 100% organic, 100% legal alternative therapy solution to alleviate dozens of medicinal needs. See what sets our featured brand apart from the competition and what product attributes to seek out when comparing. Our premium/partnered line of CBD is VG-based... so it can be used either as an oral-based tincture or with just about any liquid-based vaporizer on the market. No problem! Shoot us an email or drop by the store with any questions or ideas you may have. We're always here to help.